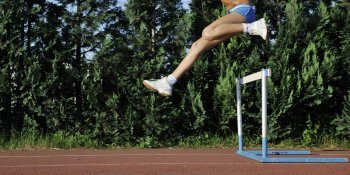 Tackle barriers by creating a high-performance culture. How does your organization approach change? Do people respond with a sharp intake of breath when they first hear about a proposed new initiative, and then go on to try and find reasons why it won't work? Or do they react by saying things like, "What a great idea, and we could also.." In other words, is your corporate culture against or for change? Corporate culture is a powerful force that runs through every organization. It is defined as the attitudes, experiences, beliefs, and values that operate within an organization. And these undercurrents define people's behavior, and how a company gets things done, in either positive or negative ways. When successful change is the desired outcome, these cultural factors play a very important role. If an organization has had a negative experience of change in the past, then change will be that much more difficult the next time around. Likewise, if the prevailing attitude is represented by the saying, "If it ain't broke, don't fix it," then making any kind of change will be met with that much more resistance. Effecting change is difficult at the best of times. When you encounter resistance due to cultural elements, it can be even more frustrating. This is because the very elements of corporate culture are so difficult to see and pinpoint. It is worth remembering here that while culture issues can present barriers to change, they can also support change and goal achievement. To overcome cultural barriers the best way to start is to look at the characteristics of a high-performance culture. Once you know what you "should" be doing or promoting, it is easier to make a plan to revamp your current situation. There is no such thing as a perfect culture. An organization's culture is unique and special and it evolves from all the experiences, growth, and development that have already occurred. So while there is no ideal to aspire to, what you do want to do is set in place characteristics that will help your organization adapt to whatever comes its way. There's a saying that "the only constant is change" which has some truth to it, so every organization needs to encourage values, beliefs, and structures that support change.